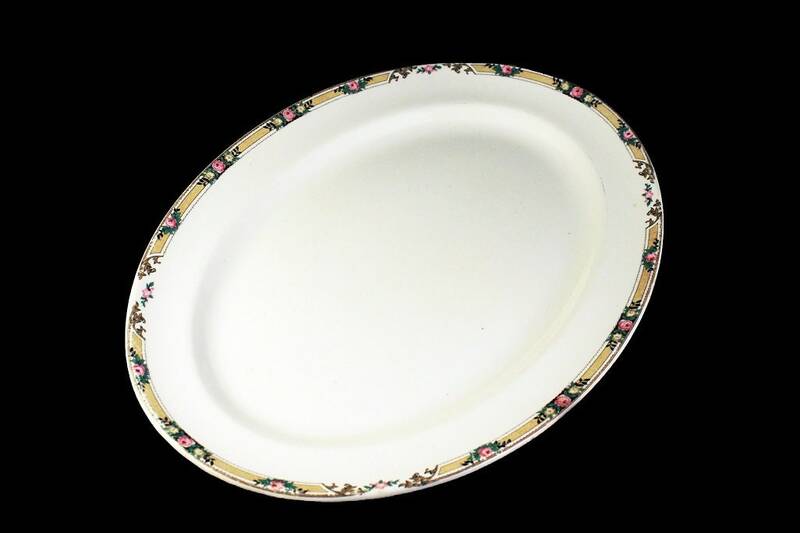 A charming platter from Mount Clemens China and made in the USA. 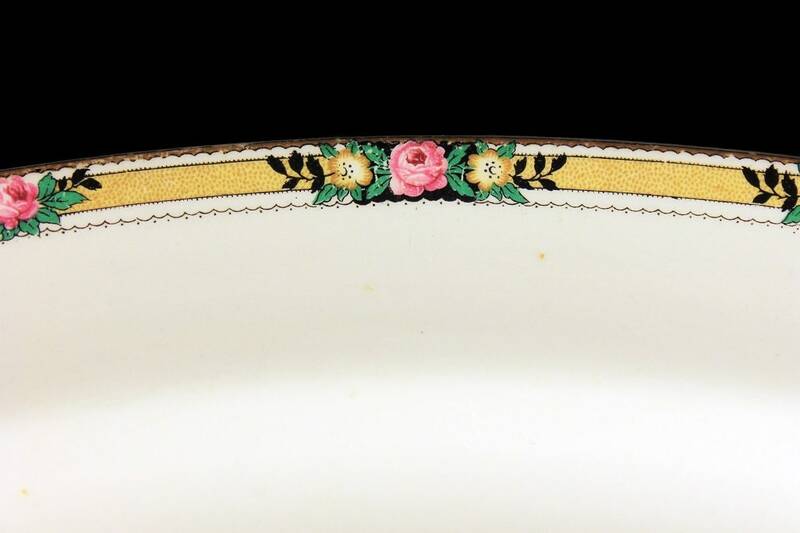 The pattern is pink roses in a band around the rim. This is from the 1930s. 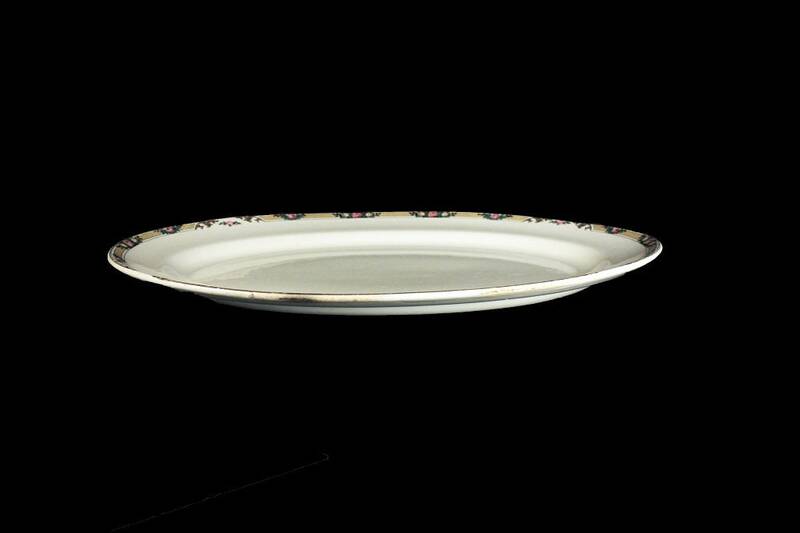 What a wonderful statement it will make on your table, buffet, or sideboard. 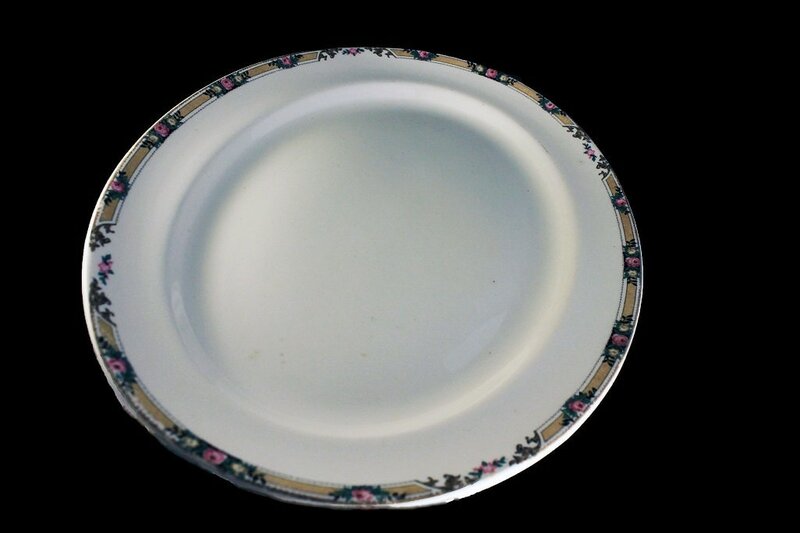 This platter is in very good condition. There are no chips, cracks, or crazing. 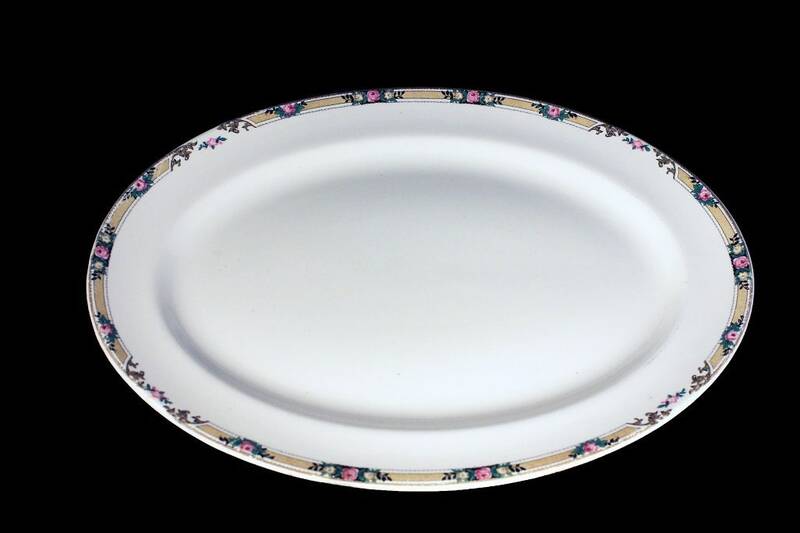 The platter has two manufactures defects on the bottom. 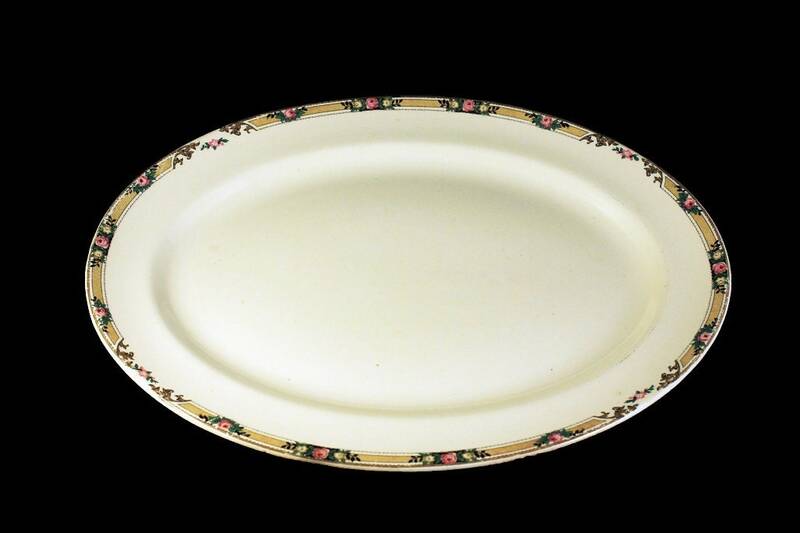 It does have utensil marks and rubbing to the gold trim from years of use.